Tectonic market shifts are transforming the global business landscape. Economic realignment, advances in technology, the globalization of markets, changing demographic trends, new customer needs and increased competition are radically altering how companies operate in virtually every industry and region of the world. These structural shifts are reshaping both the supply and demand for talent across the globe. To make their organizations more effective in the face of sweeping business change, HR leaders will need to rethink their techniques for managing and engaging talent and ensure they are aligned with the new strategic objectives of their organization. What forces (changes and trends) will truly transform the nature of work, the workforce, and the workplace? What opportunities do these forces create for HR? Where should HR leaders focus now in order to thrive in the New World? How can companies develop a culture of engagement in the New World? 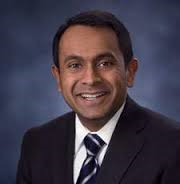 More about Ravin Jesuthasan: Ravin has published numerous articles and led several global research efforts on the topics of measurement and analytics, human capital management, rewards, labor cost optimization and talent management. As a recognized global thought leader, he has been a featured speaker on these subjects at conferences in North America, Europe, Asia Pacific and Latin America. He has also been featured and quoted extensively by leading business media including CNN, The Wall Street Journal, BusinessWeek, CNBC, Fortune, FT, Human Capital (China), Les Echoes (France), Valor Economico (Brazil), Business Times (Malaysia), Globe and Mail (Canada), South China Morning Post, Dubai One TV and The Australian among others. He was recognized as one of the top 25 most influential consultants in the world by Consulting Magazine. He is also the co-author of the recently released book, Transformative HR.